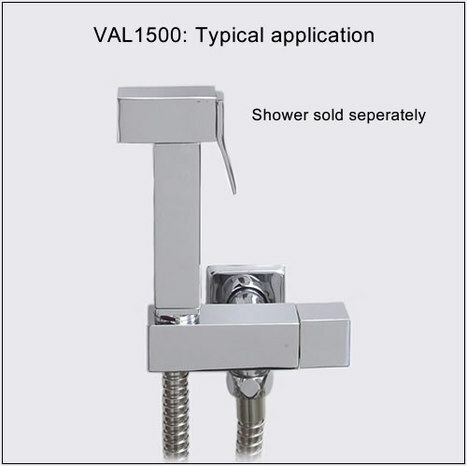 VAL1500: Combination square style Shower Mount with 1/4 turn Water Isolating valve. 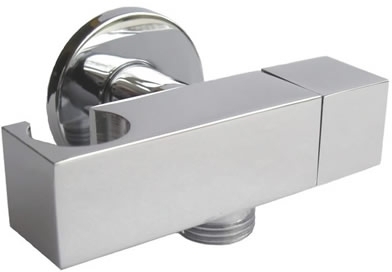 Manufactured in High grade Brass with a highly polished chromium plated finish. 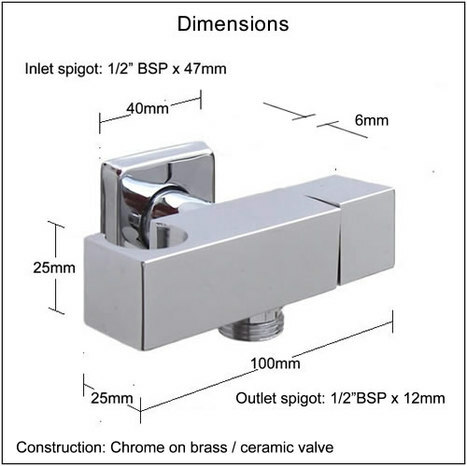 VAL1500: Square style Combination Shower Mount with 1/4 turn Water Isolating valve. Moder contemory design, anufactured in High grade Brass with a highly polished chromium plated finish. For use with our bidet sprays, Does NOT include shower. Ceramic disk technology creates a tight, long lasting seal. eliminating all annoying drips. We've removed the rubber washers from our valves and replaced with ceramic discs! All that is required is a 1/4 turn of your shower valve and the ceramic discs will close, forming an impenetrable seal. Tranquility and peace of mind guaranteed.